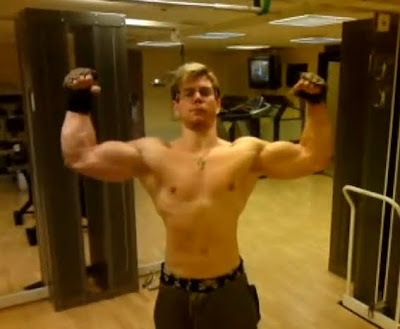 Personal trainer, bodybuilder, competitor: Lubos C. aspires to a perfect physique. The muscle man from Prague started lifting weights at home at the age of twelve, and has been working out in the gym since he was fifteen. Two years later he entered his first bodybuilding contest. In 2009 and 2010 he won several Czech competitions. Now he dreams of succeeding in European and World championships. 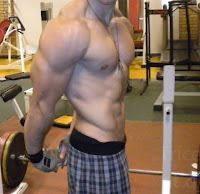 Lubos C. has trained hard for his new high quality galleries and videos showing him posing and working out. 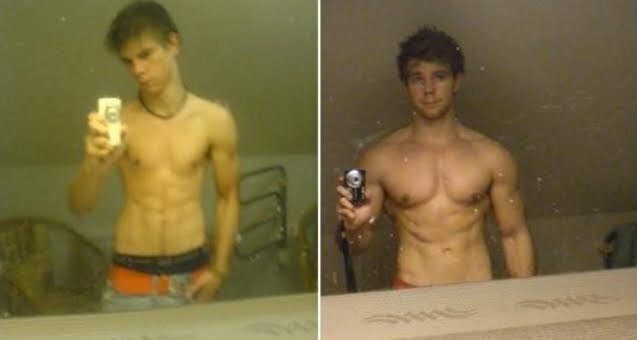 You find all of them here on CzechYoungMuscle. The GregPlitt.com Members Section contains 132 videos, including 38 instructional workout videos, and is updated weekly ($9.95 a month for full access). He calls himself "The Other Rock", and his body shows why: Each of his muscle groups is huge and solid. 32-year-old bodybuilder Jerome Dinh presents his full body workout in the following videos. He enjoys showing off his muscle gains on the street. 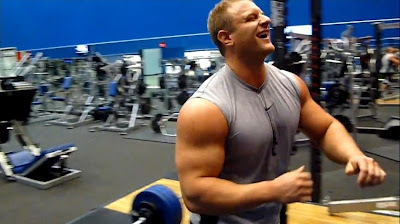 Super fitness model Brock has trained hard for his new shots, published on AllAmericanGuys. You find all of his high quality photos and videos here. The GregPlitt.com Members Section contains 131 videos, including 37 instructional workout videos, and is updated weekly ($9.95 a month for full access). His shirt is almost too tight for his growing muscles. 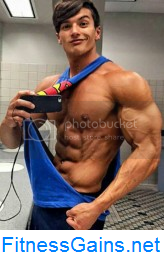 Super fitness model Brock shows off his highly ripped and very impressive physique on many new outstanding shots and posing videos here on AllAmericanGuys. This exercise will blast your pecs. In the video bodybuilder and powerlifter Tuan Tran shows and explains a floor presses variation for chest development. Huge pecs, massive shoulders, a strong back: In this video 22-year-old bodybuilder Tanner Parkes works his upper body doing cross cables. Perfectly sculpted: Bodybuilder and fitness model Filip Jurka shows the impressive result of his effective workout in new high quality galleries and videos, now published here on CzechYoungMuscle. Walking around on the beach with a ripped body: Personal trainer Mike Chang makes it possible. 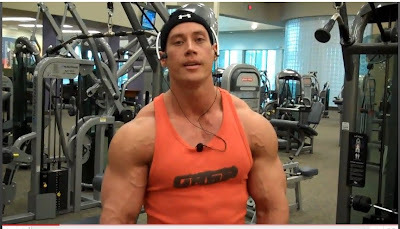 Mike: "In this video I show you a quick home workout you can do for chest and back. This is a great workout to get started with at home if you don't have a gym membership. And I will sometimes do this workout when I don't have time to go to the gym, or when I'm traveling and don't have gym access." SIDE TO SIDE PUSHUPS - 10 REPS. Move your hands wide apart as you go down, and close together when you reach the top of the pushup. Alternate sides, so that you are traveling side to side as you do your pushups. DUMBBELL FLYS - 10 REPS. Move the dumbbells up and down in a CIRCULAR motion, not a PRESSING motion like a bench pres. Keep your arms slightly bent. Isolate your chest as much as possible - you should feel your chest muscles squeezing together as you do this, and minimal tricep involvement. 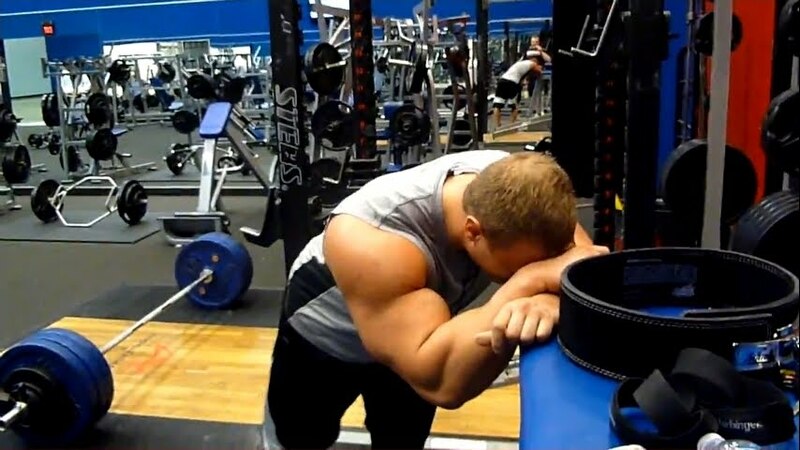 BENT ARM SIDE LATERAL - 10 REPS. Keep your arms bent at a 90 degree angle. Raise your arms upwards and to the side. You should feel this in your deltoid (shoulder) muscles primarily. If you are advanced, do this explosively like I do in the video. If you're a beginner, use slower, more strict form and isolate your shoulders more. Be careful with too much back involvement if you're first starting off (it may lead to injury if you're not conditioned to explosive weight lifting moves). BENT OVER SIDE LATERAL - 10 REPS. Bend over at a 90 degree angle, so that your back is flat like a table top. You should feel a stretch in your hamstrings as you do this. In this position, contract the muscles of your back to bring the dumbbells upwards in a circular motion. Really contract your back as much as possible at the top of the repetition to get the most out of it. Again, use more strict, slow form than I do in this video if you are a beginner - use more explosive form if you are advanced. DUMBBELL FRONT RAISES TO CEILING - 10 REPS. Keeping your arms bent VERY slightly (almost straight), raise the dumbbells from your legs to vertically above your head. Once again, use strict form if you are a beginner and do not initiate the movement with momentum from your back. If you are advanced, explode from the bottom with a small amount of back involvement, and use a heavier weight. DUMBBELL GOOD MORNINGS - 10 REPS. Hold the dumbell to your chest. Bend over from your hips, being careful not to round your back excessively. Go down until you feel a stretch in your hamstring, then keeping your back straight return to the standing position. You can do this once for a quick workout, or 3x for a more thorough workout. Bring out the "show muscles": Personal trainer Mike Chang teaches a simple yet effective chest and bicep workout to do from home. The exercises: push ups, biceps curls, dynamic push ups, and underhand front raises. All you need is a pair of dumbbells.